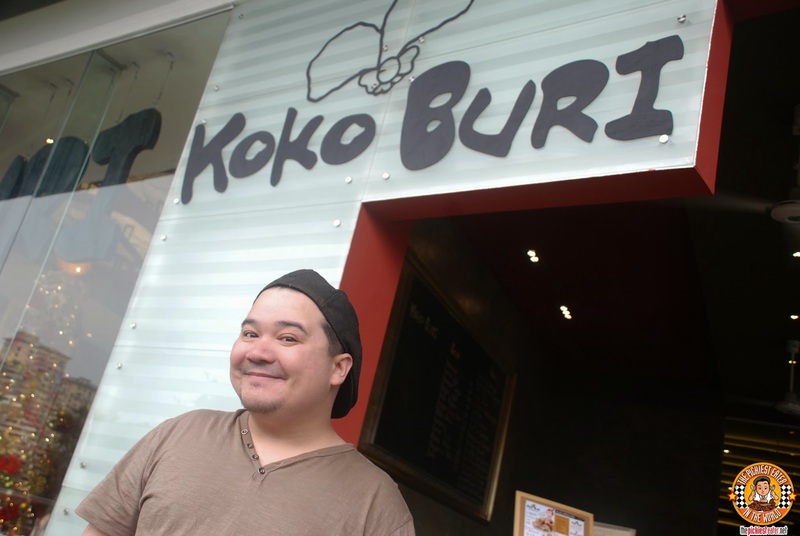 THE PICKIEST EATER IN THE WORLD: KOKO BURI: PAMPANGA'S BEST KEPT SECRET, NOW IN BGC! 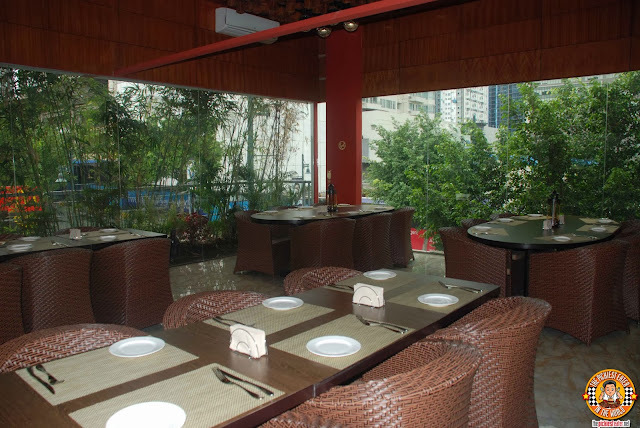 Koko Buri is located at The Forum at Bonifacio Global City, right above McDonald's. It's got a quite spacious and relaxed atmosphere. And dining there kinda feels more like you're eating at a rich friend's house than a restaurant. That's how at home I felt. If I was any more relaxed, I might have walked around in boxer shorts hehe. The meal started with the Fresh Potato Chips (P155). 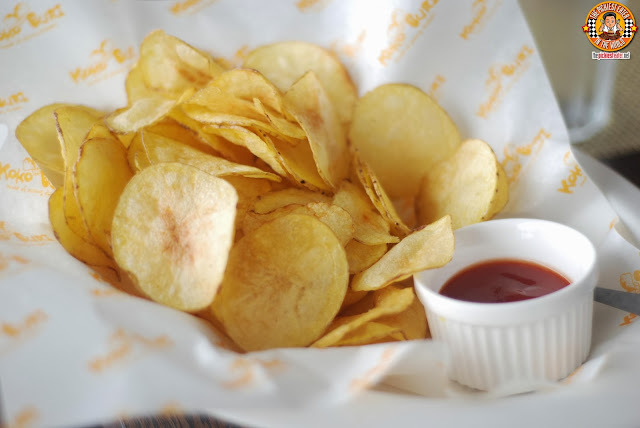 I'm a potato chip guy through and through, and I really enjoyed how the paper thin slices of potatoes were deep fried to a beautiful golden tone, while every bite let out a stunning crunch. It did lack a bit of seasoning for people like Rina that enjoys her food with a little extra salt, but that's most likely what the ketchup was for. I'm a fan of anything breaded, and the Dori Dori (P260) really hit the spot with me. Cuts of White Fish delicately rolled in an herb infused coating, and deep fried just right, creating a light crunch on its exterior, while maintaining the integrity of the fish's tenderness. 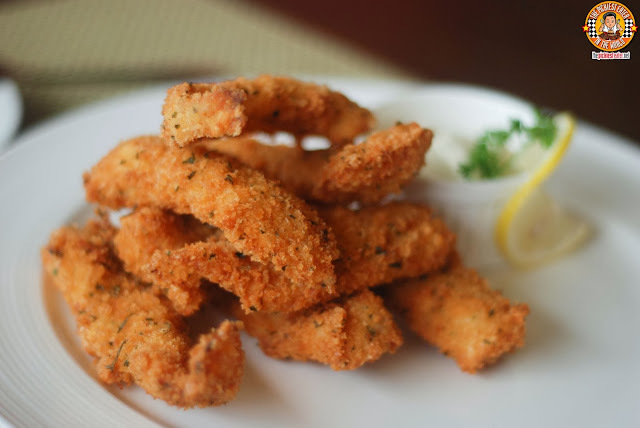 When dipped in the Tartar sauce, its a match made in heaven. 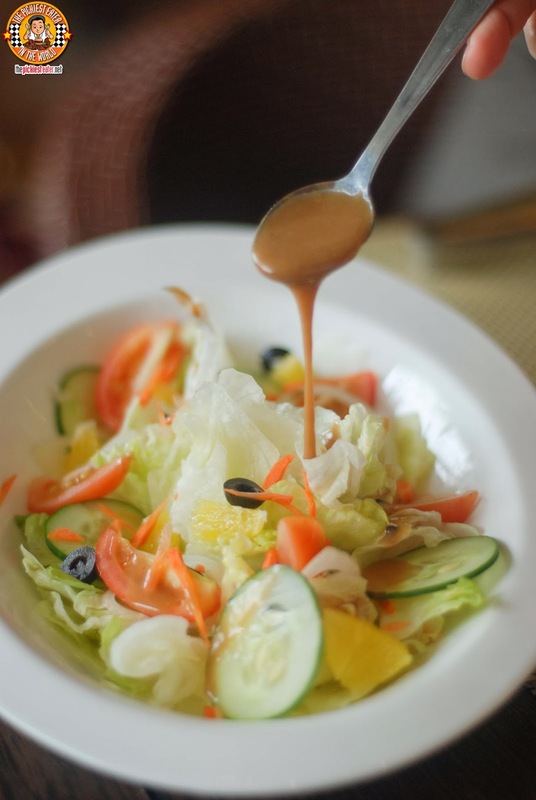 If you've read my blog with any form of regularity, it would come to no surprise to you that I did not bother to try the Oriental Express (P290).. Because it was a salad. Basically it was green stuff with a bit of Tomato and an Asian Dressing drizzled over it. I believe Chicken Popcorn was added afterwards. To give Koko Buri a little credit, Rina really enjoyed it. I'm not a heavy rice eater.. Unless it's fried rice. Bring out practically any form of fried rice and any attempt I had to limit my carbs gets thrown out the window. So when Koko Buri brought out not one, but two types of fried rice for us to try, I was more than ecstatic, and yes, my attempt to limit my carbs got promptly thrown off the second floor balcony and down to NeverNeverland. 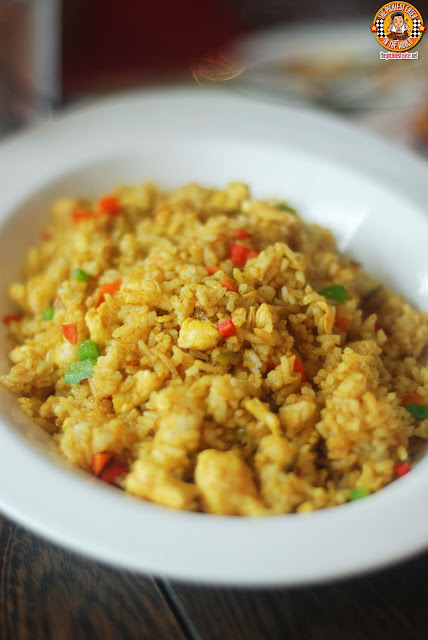 The first fried Rice brought out was the Bangkok Chicken Fried Rice. This was rice fried in a curry sauce, that offered gentle notes of sweet curry, and chunks of chicken bits for a little extra flavor. I felt this was just average, as I was hoping that the flavor of the curry would be a bit more pronounced, but I am assuming that they didn't want it to overwhelm the entrees that you would it it with.. Which made total sense. 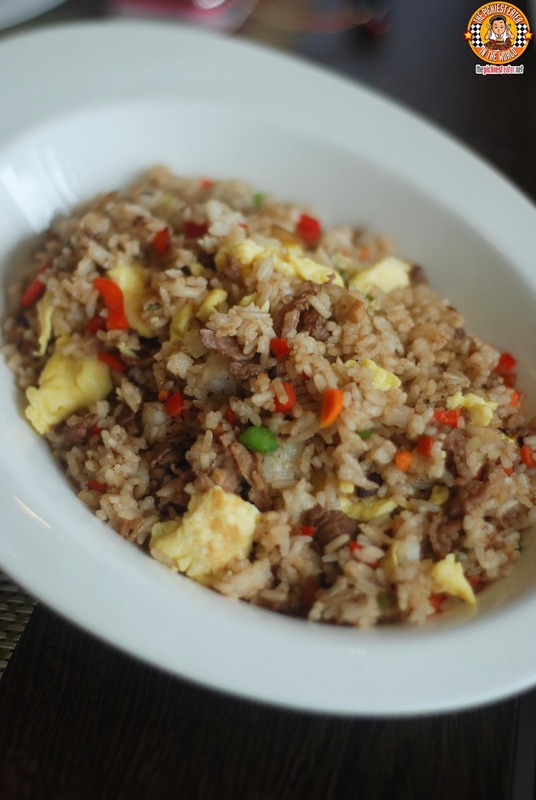 The Tapei Beef Fried Rice (P295) was exactly what I was looking for. This was pretty much a meal in itself, with generous chunks of minced beef was mixed with some other vegetables and scrambled egg. It was marvelous. 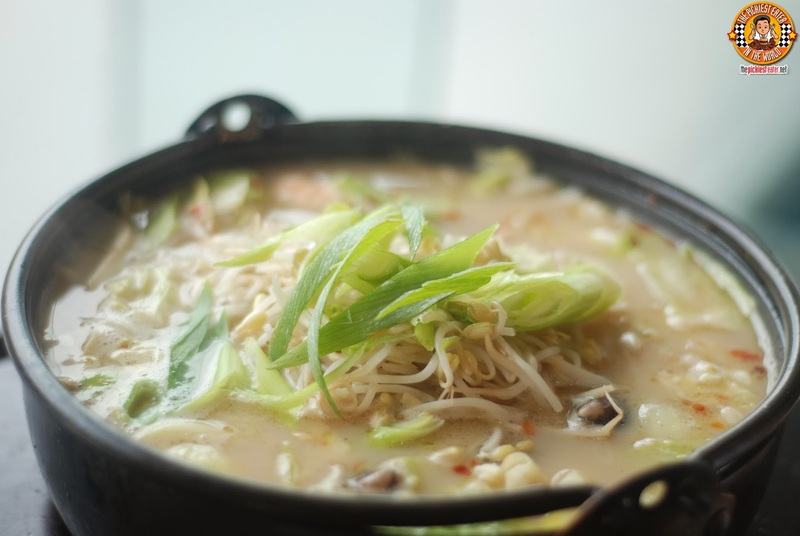 A dish that got the stamp of approval of everyone in the table was the Nagasaki Champon (P595, Good for 6-8). This is a rather complex dish that was made with five different types of seafood, swimming in a hearty pork broth, mixed in with a medley of other vegetables. Koko Buri's Menu also includes a selection of pizzas, and the first one they brought out, much to the delight of my shrimp loving wife, was the Pizza Con Gambari (P485). 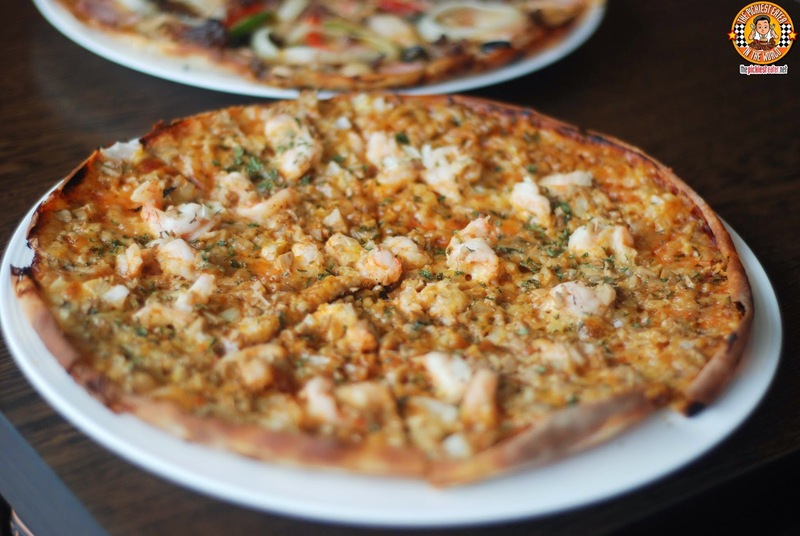 Rina loved the combination of Mushroom, Cheese and Shrimps that the Pizza Con Gambari brought, not to mention the crust was thin and crispy. The Primavera Pizza is the embodiment of a pizza with "Everything On It". 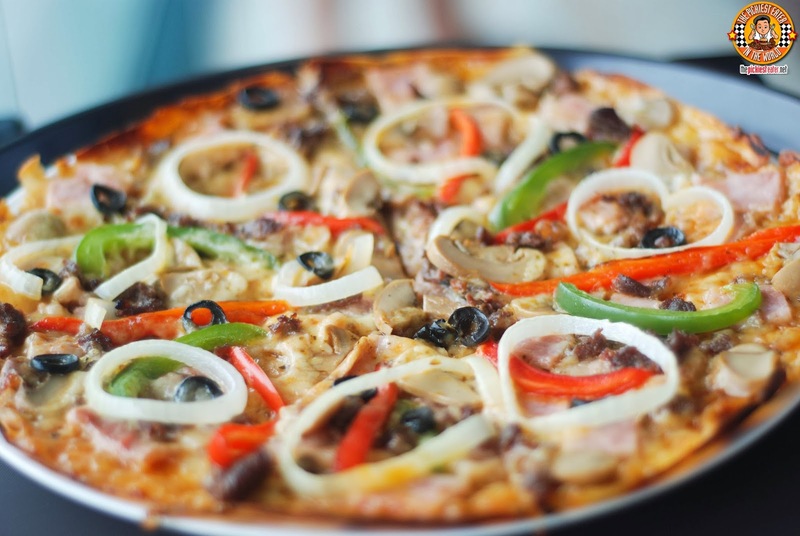 This was a potpourri of different vegetables and meats, spread out on a crisp pizza crust, to create excellence in every bite. The Star of Koko Buri's menu,has to be their line up of fried chicken, starting with the Koko Buri Soy Garlic Chicken (P390 Large/P750 Family). 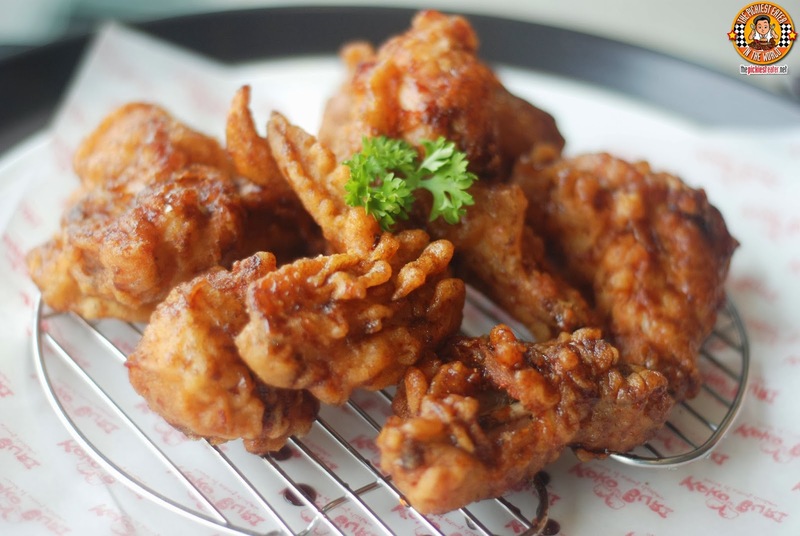 This is so delicious, you'll be thinking to yourself, "Bonchon What?". Like the popular twice fried chicken chain, the skin had an excellent crunch to it. But unlike the popular chain, the meat itself was not devoid of any flavor. It had a wonderful mix of sweet and soy, with a touch of garlic to tingle your taste buds. 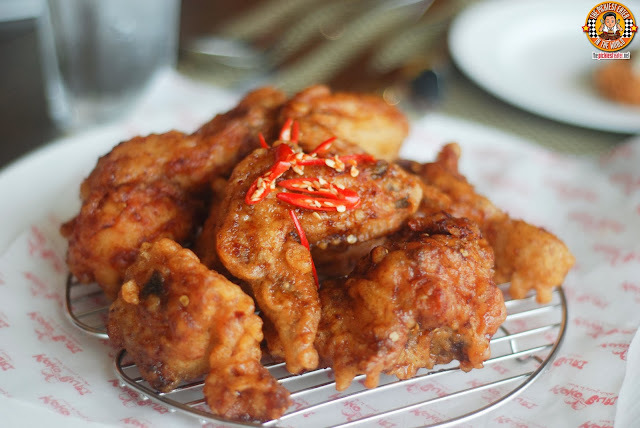 The Soy Garlic Chicken (P390 Large/P750 Family) also comes in a Spicy variant, for those that like a little heat in their meals. If you prefer to kick it old school, than you can order the Koko Buri Fried Chicken (P370 Large/P690 Family).. Koko Buri's take on Southern Fried Chicken. 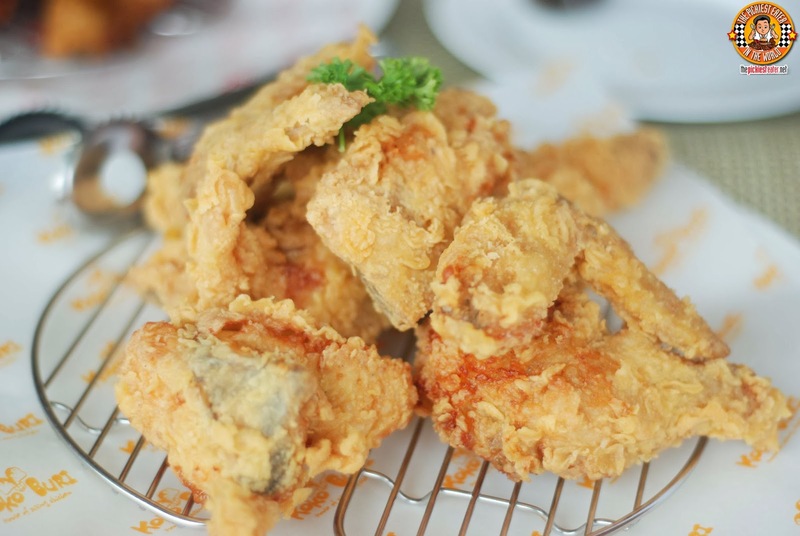 Fried Chicken is a Filipino staple, and this was definitely something that would be welcome in tables around the country. The Chicken was cooked to a beautiful gold coating, and the meat was still amazingly juicy. At long last, Pampanga's treasure is now available in Manila! You will discover that Koko Buri is more than just fried chicken.. 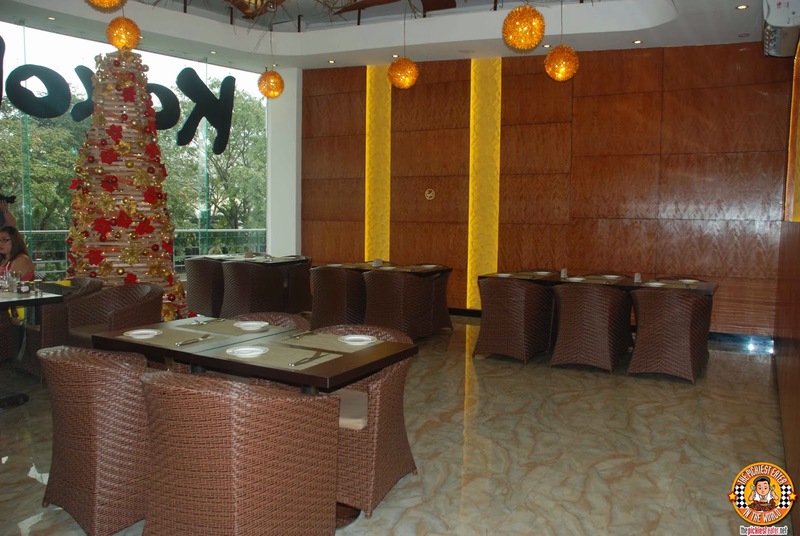 But a wide selection of dishes that will more than satisfy your taste buds!